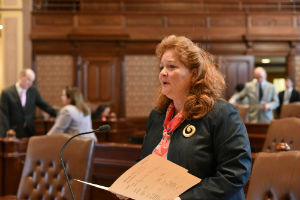 SPRINGFIELD – To increase the donor pool of a lifesaving medical procedure, a new law sponsored by State Senator Laura Murphy will increase awareness of bone marrow donations in Illinois. 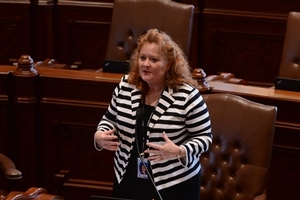 Senate Bill 3062, which was signed into law today, requires the Department of Public Health to develop and disseminate information about the National Bone Marrow Donor Program. The informational materials will talk about the existence of the program and how to join it, the need for bone marrow donations, the types of patients who benefit from bone marrow donations, and how to acquire free swab kits in order to self-test one’s compatibility as a donor. The law allows for the information to be spread through talks, in print, electronically, or by any other method. It passed through the Senate and the House with bipartisan support and is effective immediately. 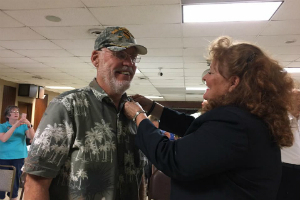 DES PLAINES — Less than two years after his tragic death, State Senator Laura Murphy secured justice for Buddy. 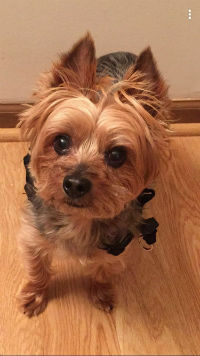 Buddy was a 10-year-old Yorkie from Hanover Park who was attacked and killed by a neighbor’s dogs in 2017. Today the governor signed Murphy’s proposal to crack down on owners of dangerous animals. Under the measure, Senate Bill 2386, dog owners could be defined as “reckless” if their animal is deemed dangerous for killing another dog and is found running at large twice within 12 months. If a person is determined to be a reckless owner, all dogs on their property will be forfeited to a licensed shelter, rescue or sanctuary. Reckless dog owners will be prohibited from owning dogs for up to three years if found guilty. The new law takes effect Jan. 1, 2019. Murphy was compelled to propose the measure after learning about the circumstances of Donna Dary and her dog, Buddy, who had been with her since he was 2 months old. Dary’s neighbor disregarded guidelines about dog muzzles – a contributing factor in the attack on Buddy – and the dogs were found running at large within a week of killing the Yorkie. “I hope this legislation will prevent tragic deaths like Buddy’s from occurring,” Murphy said.